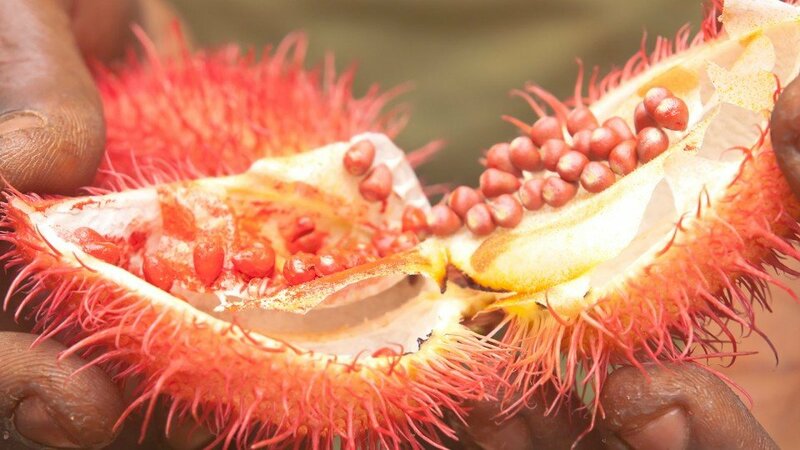 The seeds of the annatto bush have long been recognised by some cultures to bring colour and flavour to the diet. Annatto (E160(b)) seeds provide two pigments: bixin, which is oil soluble and norbixin, which is soluble in water. Both pigments are cartenoids and may, therefore, be adversely affected by light and oxygen. In extreme cases, it is helpful to protect sensitive products using ascorbic acid. Norbixin is sensitive to sulphur dioxide at levels in excess of 100ppm, whereas hard water or low pH conditions can lead to pigment precipitation unless specially formulated products are used. These pigments are heat stable and provide an orange hue. They are frequently offered as blends with other pigments, especially curcumin, to ensure that precise yellow/orange shades are achieved. Traditionally, the main use of norbixin has been in cheese colourations, but it is used in a much wider variety of applications including breadcrumbs, flour confectionery, dairy products and ice cream. Available in both liquid and powder forms, it is a colouring with wide application. The oil-soluble pigment, bixin is used in cream fillings for biscuits, snack foods, margarines, low-fat spreads and other fat-based systems. Please note that there are restricted usage levels and applications for annatto. Please refer to Standard 1.3.1, Schedule 1 of the Food Standards.